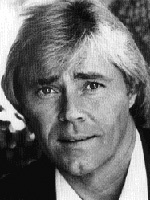 Dennis Cole (July 19, 1940 – November 15, 2009) was an American actor in film and television. A familiar face on the screen during the 1960s and 1970s, Cole made guest appearances in numerous television series His first big acting break came when he landed a starring role in the ABC police drama Felony Squad, which ran from 1966 to 1969 He then co-starred with Rod Taylor in the TV series Bearcats! (1971). Dennis then played Lance Prentiss on the TV soap series The Young and the Restless (1981–82). Cole continued to make guest appearances in numerous television series, such as Medical Center, Police Story, Charlie's Angels, Vega$, The Feather and Father Gang, The Eddie Capra Mysteries, The Love Boat, Fantasy Island, Three's Company and Murder, She Wrote. Cole's feature film career included roles in Cave-In! (1983), Wheels of Fire (1985), Pretty Smart (1987), and the horror film Zombie Death House (1987). Cole's last television appearance was a 1998 episode of Pacific Blue.